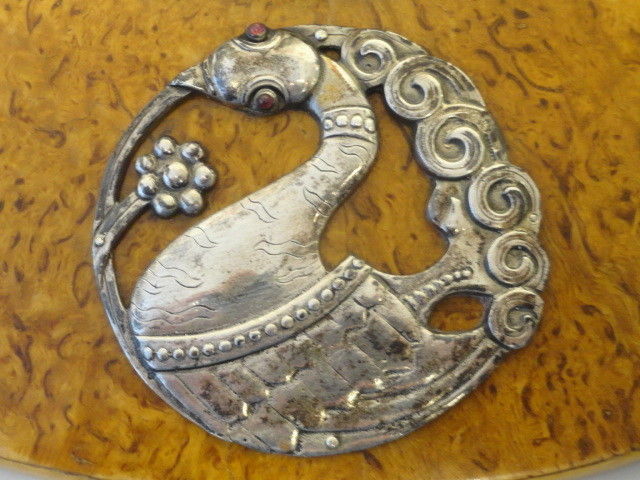 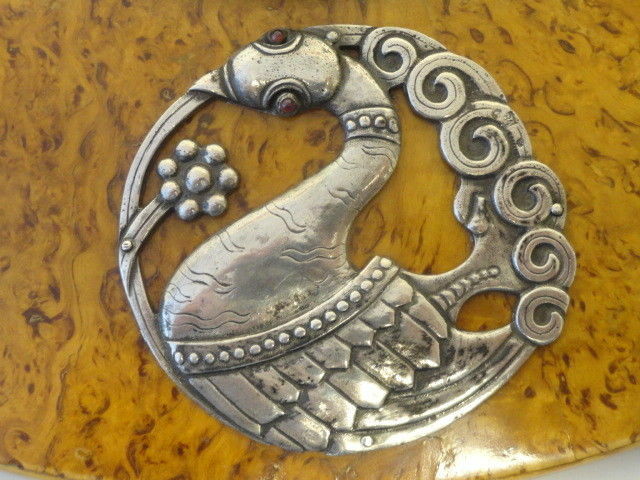 Large antique Russian Faberge silver 84 and wood stand. 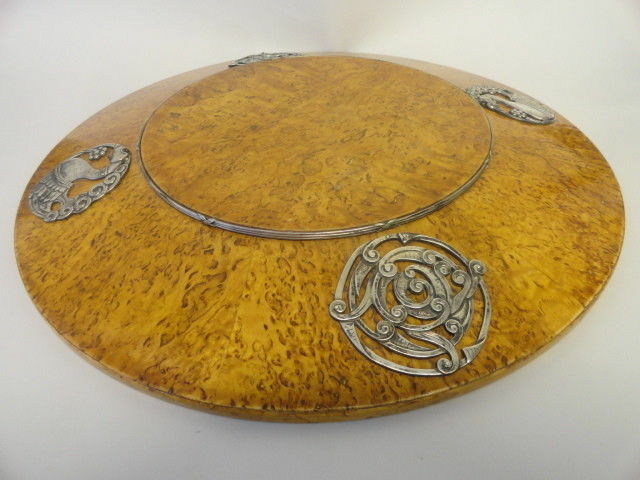 A beautiful antique Russian Faberge silver 84 and wood stand. 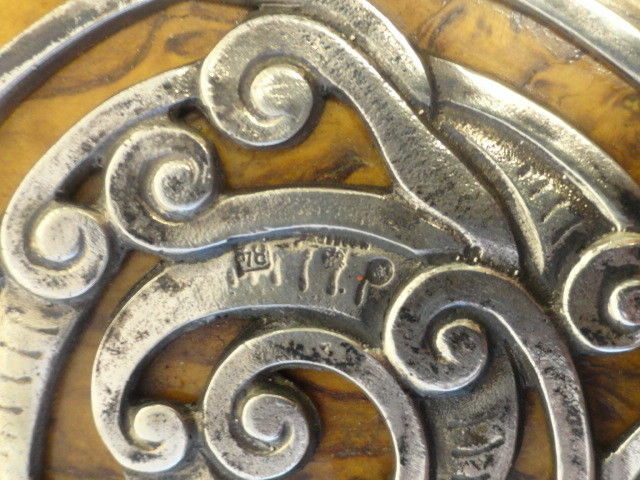 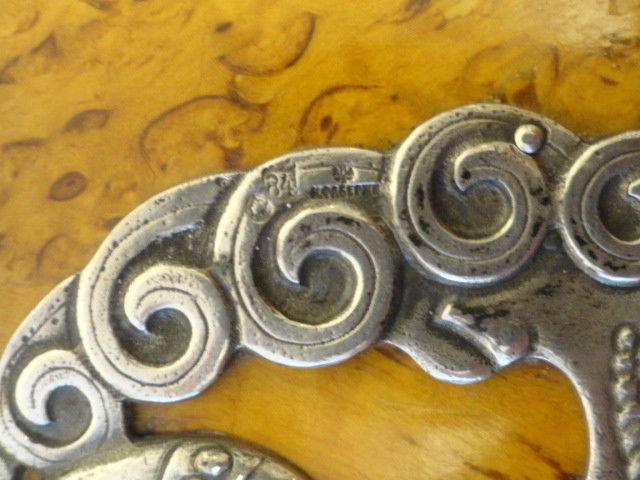 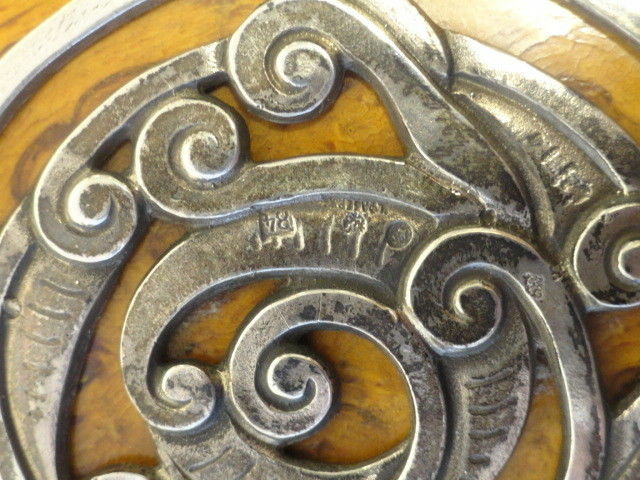 Diameter is 15.25 inches, Weight is 1937 grams.